You’ll find several versions of chocolate chip cookies here on the site, mainly because, no matter how strict I’m eating, I will always find a way to make my favorite treat. Below is an updated version of my best ever paleo chocolate chip cookies. 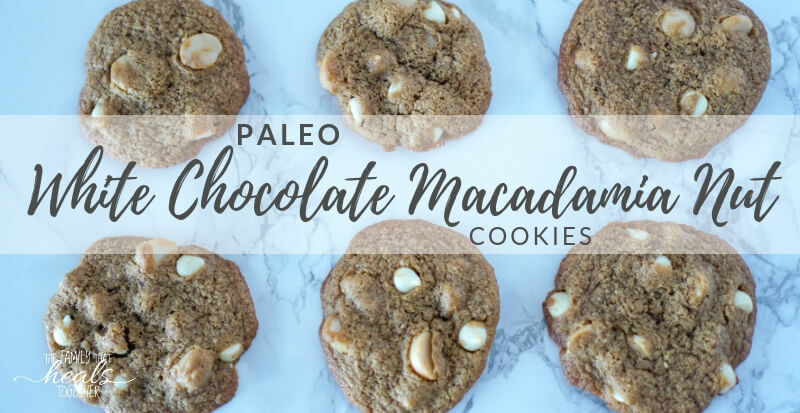 Please enjoy my Paleo White Chocolate Macadamia Nut Cookie Recipe! The truth is, I’ve always preferred vanilla to chocolate. Whether we’re talking about ice cream, blondies vs. brownies, frosting, or white chocolate vs chocolate chocolate, I prefer the creaminess of vanilla and white chocolate flavors. So it only made sense that I would update my favorite chocolate chip cookies as a white chocolate macadamia nut cookie recipe. They also happen to be Mr. Incredible’s favorite cookie as well. Personally, I’m a fan of pecans, but the Mister really loves macadamia nuts. 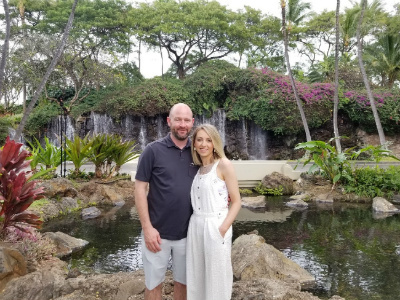 Let’s just say he was in hog heaven on our recent trip to Maui! While the sites, hiking, and general adventure were so much fun, it was really all about the food for me. Stay tuned for a full post on eating gluten-free and paleo-style foods in (on?) Maui! 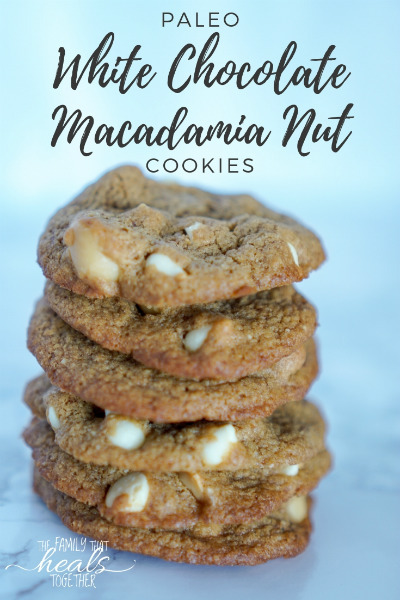 In the meantime, enjoy a piece of island flavor with the white chocolate macadamia nut cookie recipe you’ll find below. While I chose paleo-friendly sweeteners for these cookies, sourcing paleo-friendly white chocolate chips is a little more challenging. It’s fairly easy these days to find organic white chocolate chips, but they will typically contain milk powder. If you want to source dairy-free white chocolate chips, it’s a little more challenging, but they do exist! You can try these rice milk organic white chocolate chips or try making your own. Also, I had trouble finding organic macadamia nuts locally, so if that’s important to you, try these organic macadamia nuts. 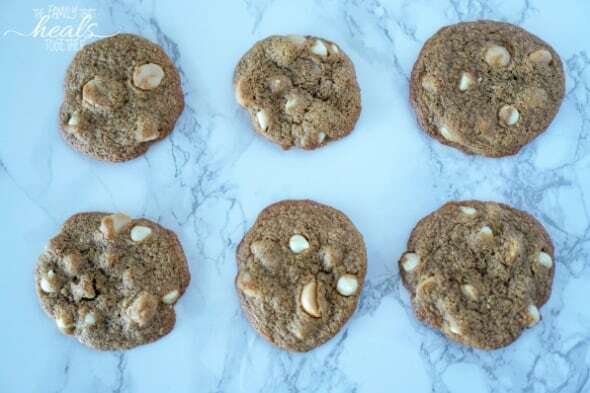 Macadamia nuts do tend to be pricier than other nuts, so I stash them away for these white chocolate macadamia nut cookies (along with the white chocolate chips). Using a hand mixer, put butter and shortening in a large mixing bowl and cream together. Add coconut sugar and honey and mix once more. Add the eggs, baking soda, and vanilla and mix on high until ingredients are combined well and smooth. Carefully add tapioca flour a little at a time and mix as you go, then add coconut flour and finish combining with the hand mixer on high. Add the chocolate chips and macadamia nuts and mix once more until distributed. Let the dough rest for about 15 minutes. Place tablespoon-sized balls of dough about two inches apart on the cookie sheets. I like to only bake one sheet at a time because the bottom rack always cooks a little differently, so I could in two batches. 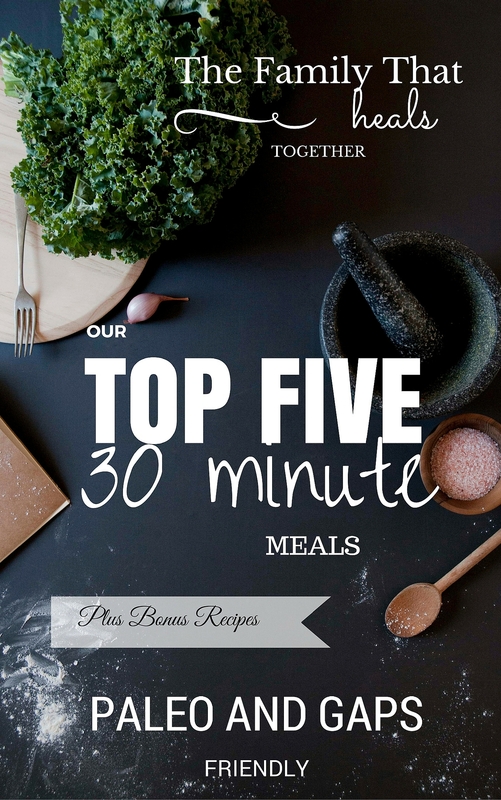 Bake for approximately 10-12 minutes (ovens vary). They will begin to brown on the edges when they are done. When you remove them from the oven, they will be a bit crumbly. Let them sit on the cookie sheet undisturbed for about ten minutes before transferring to a cooling rack, otherwise they will not hold up as well. 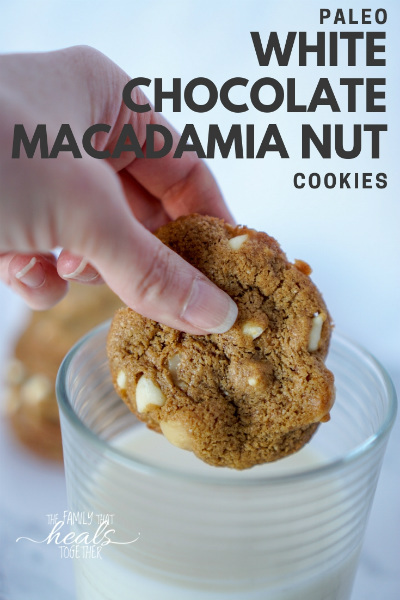 Which do you prefer- regular chocolate chip cookies or white chocolate chip macadamia nut cookies?